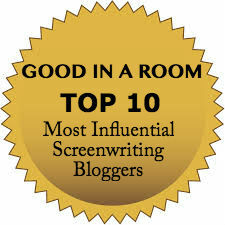 Jeanne Veillette Bowerman is the Editor and Online Community Manager of Script Magazine and on Stephanie Palmer's list of "Top 10 Most Influential Screenwriting Bloggers." She is Co-Founder and moderator of the weekly Twitter screenwriters’ chat, #Scriptchat, and wrote a Tracking Board Top 25 Launch Pad Competition selected script, the narrative adaptation of the Pulitzer Prize-winning book, Slavery by Another Name, with its author, Douglas A. Blackmon, former senior national correspondent of The Wall Street Journal. The 10-hour limited series version of the same project was recently selected as PAGE Awards TV Drama Pilot Finalist as well as a Sundance Episodic Lab semi-finalist. Jeanne also is President of Implicit Productions and consults with writers on how to build and strengthen their online and offline networks as well as face their fears in order to succeed in writing and in personal peace - a screenwriter's therapist. Follow @jeannevb on Twitter.